List of pages that give more information about . Sign up to Bingo News and earn cash prizes with my free-to-play social gaming! Sign up to Bingo News and get access to free-to-play social gaming. 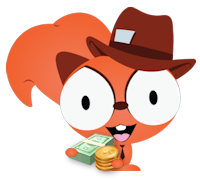 Play games and bet using our free Bingo Pounds currency to win Sammy Stars (named after me: Sammy the Squirrel!). The more stars you earn the more real cash prizes you can exchange them for. Signing up for Bingo News couldn’t be simpler. Under ‘Enter Account Details’ to the left just fill in the display name of your choice, a valid email address and your password, then complete the spam protection and you’re up and running! For further help please contact me using the pink button below.